Comes with 2-Year maintenance plan thru MyCarCarePlan.com. Click on link above for details. 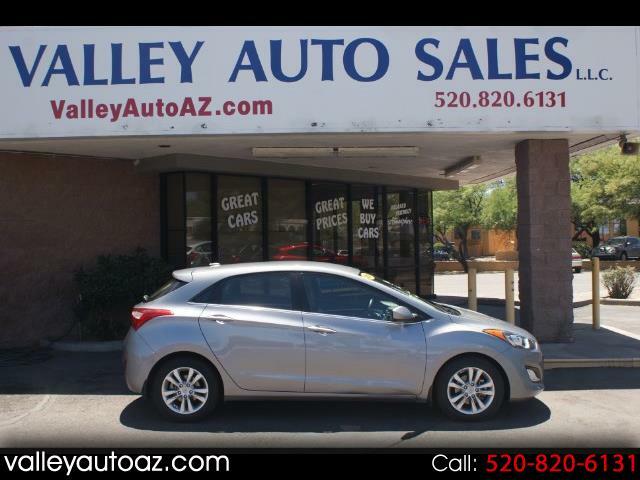 A (1) One Owner,,,Off Hyundai Lease,,Clean Carfax 2014 Hyundai Elantra GT Hatchback in very nice condition is now being offered for sale at Valley Auto Sales in Green Valley. From the rubber and alloys to the roof,,,front to back,,,inside and out...we are offering you a proven car in reputation and quality for a very aggressive price. Automatic with all the keys and books,,,Steering wheel mounted controls for the audio,,,with CD,,,to the cruise controls...easy to reach knobs that will not distract. Factory warranty from Hyundai follows this Elantra anywhere in the US you can drive....come by for a look and a drive!!! Call Bill at 520.820.4228 and thanks for looking and thank you for the consideration! Visit Valley Auto Sales online at www.valleyautoaz.com to see more pictures of this vehicle or call us at 520-820-6131 today to schedule your test drive. Message: Thought you might be interested in this 2014 Hyundai Elantra GT. Valley Auto Sales will cover 100% parts and labor on any covered, failed powertrain issue within the given terms in time and miles from the date of sale from Valley Auto Sales. Bill the owner is the man and Richard the salesman is awesome! We told them what we wanted & didn't Bill go right out and find the greatest SUV at a great price! And when the prior owner couldn't find the spare key, Bill found someone to create the $240 fob and he paid half the cost!! Valley auto was recommend and I am soooo happy!!! Don't miss out on an honest, straight shooter guys! !